Millions of baseball fans arrive in greater Phoenix every March for Cactus League Spring Training. They come from all over the country—Seattle, Chicago, Los Angeles—to cheer on their favorite Major League Baseball teams. If you're one of them, you'll surely nosh on your share of hot dogs, peanuts and popcorn at the ballpark. 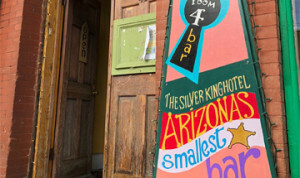 But, if you find yourself hankering for a taste of home, Arizona has got you covered. 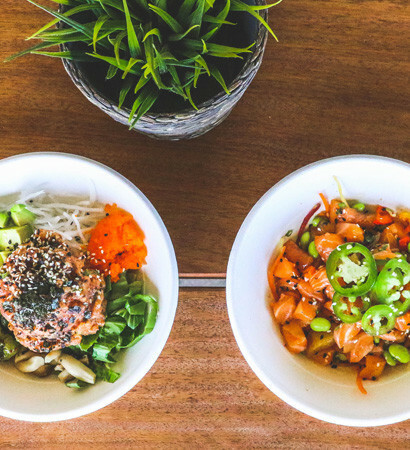 When you're craving seaside beach eats, look no further than this laid-back spot. It offers West Coast staples like Baja fish tacos, clam chowder in bread bowls, and craft beers from California breweries like Lost Coast and Dudes Brewing. 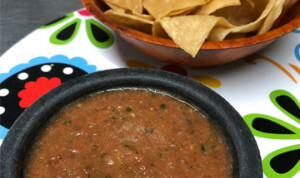 High Tide Happy Hour features $5 dishes (clam strips, fish ceviche tostadas) and ice-cold margaritas, which make for a light, So Cal-approved dinner before an evening game. This place is so Chicago that it imports its Vienna hot dogs, Italian beef and toppings (relish, sauerkraut, pickles) directly from the Windy City. Not only does Chicago Hamburger Company specialize in Midwestern dogs and sandwiches, but the owner, a Chicagoan and life-long baseball fan, doled out 2,005 free sliders to customers in 2005 to celebrate the White Sox's World Series win, and 2,016 sliders in 2016 to celebrate the Cubs' World Series win. For something smoky like, say, Kansas City burnt ends, Frasher's offers a satisfying fix. Chef/owner George Frasher is a St. Louis native, and even though he's created a menu that blends barbecue styles from all over, he ultimately stays true to his Missouri roots. That said, Texas barbecue fans will love the brisket (side of white bread, please! ), and Memphis folks will enjoy the dry-rubbed ribs. In the early 1900s, Polish immigrants landed on the banks of Lake Erie, bringing to the Midwest the culinary traditions of home. Even though metro Phoenix is a long way away from the Great Lakes—and Poland, for that matter—All Pierogi Kitchen serves up authentic Polish delights. Especially those famously stuffed potato pockets. All but nine of this popular chain's 68 locations are in Illinois. Luckily, Giordano's chose Arizona as one of its new homes for the restaurant's beloved cheese-filled deep dish and crispy thin-crust pizzas. The menu hasn't changed a bit, so no matter if you're digging into a Giordano's pie in Chicago or Phoenix, the flavors are the same. All of the fish—yes, all of it—featured at this intimate seafood restaurant in Scottsdale is caught off the California coast and delivered to the desert in less than 24 hours. Meaning, it's fresh, fresh, fresh. The San Diego-based restaurant is perfect for post-game meals when you seek something more refined than burgers and fries. The menu changes regularly, all the more reason to enjoy ocean fare at least once a week while you're in town. 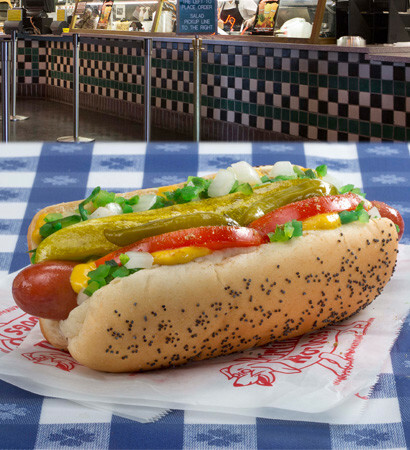 Portillo's has helped many a Chicagoan get their food fix while in town for Cactus League Spring Training, that being the famous Chicago hot dog. The recipe calls for a mess of ingredients such as mustard, onions and pickle relish, piled high on a poppy seed bun. But don't you dare add ketchup—a forbidden ingredient in the eyes of Chicago-dog traditionalists. Want a taste of Arizona? If you're all about checking out the most famous, most popular, most quintessential Arizona restaurants while you're visiting for Cactus League Spring Training, read the Expedition Foodie series "Eat Like a Tourist." 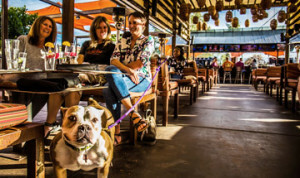 Paul Morris has written about Arizona for more than two decades and Leah loves to combine her experience in the restaurant industry with her passion for writing.